​The ​League of Legends Public Beta Environment was updated on Tuesday, March 19, to kick off the Patch 9.7 cycle. As part of the new balance changes, Teemo, Blitzcrank and Kayn have received a variety of changes to their abilities and stats. Blitzcrank received tentative changes that are not expected to go live in Patch 9.7 and were included for early testing. Static Shield (R): A new Passive was added to Static Shield. "While Static Shield is active, lightning charges Blitzcrank's fists, marking enemies he attacks. After 1 second, marked enemies take 50/100/150 + 30% AP magic damage." Kayn received a new change that can be expected to be seen in Patch 9.7. Shadow Step (E): The cooldown was increased from 21/19/17/15/13 to 22/20/18/16/14. In Shadow Assassin form, E cooldown is now 50% lower to 11/10/9/8/7. 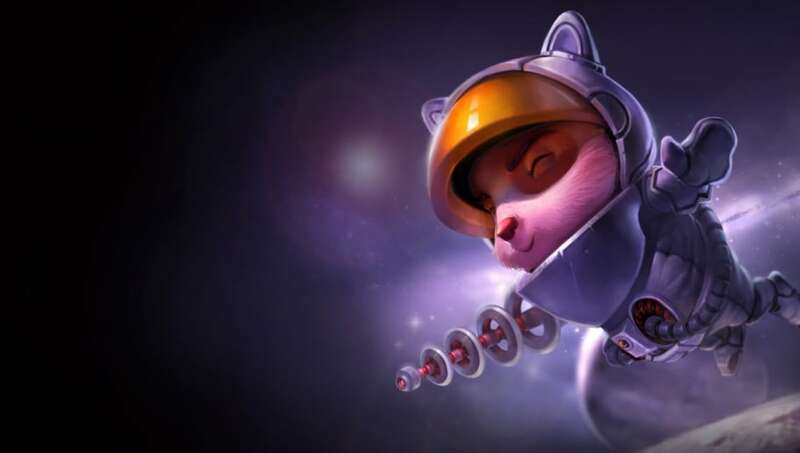 Teemo received many new changes as part of ​continuous experimentation and the changes are not expected to be included in Patch 9.7. Guerilla Warfare (E): Cooldown now 40/37/34/31/28. After a 2-second delay, Teemo becomes Invisible indefinitely if standing still or in brush and can move up to 5/6/7/8/9 Teemo distance while out of brush, but any non-periodic damage from champions will break his stealth. While stealthed, Teemo can see 25% farther. Upon breaking Guerilla Warfare, Teemo gains 20/30/40/50/60% Attack Speed for 3 seconds. While on cooldown, standing in brush ticks down Guerilla Warfare's coolwdown more quickly. Noxious Trap (R): Base damage lowered from 200/325/450 to 150/250/350. AP ratio lowered from 0.5 to 0.4. Mushroom max ammo count up from [3 at all ranks] to [3/4/5]. Traps now becomle invisible after 1 second. Traps can continue to bounce on other traps. Other changes were a nerf to the item The Dark Seal (AP lowered from 15 to 10) and changes to the runes Ghost Poro and Eyeball Collection. The PBE update also included ​new skins for Ivern and Jarvan IV as well as other cosmetics.